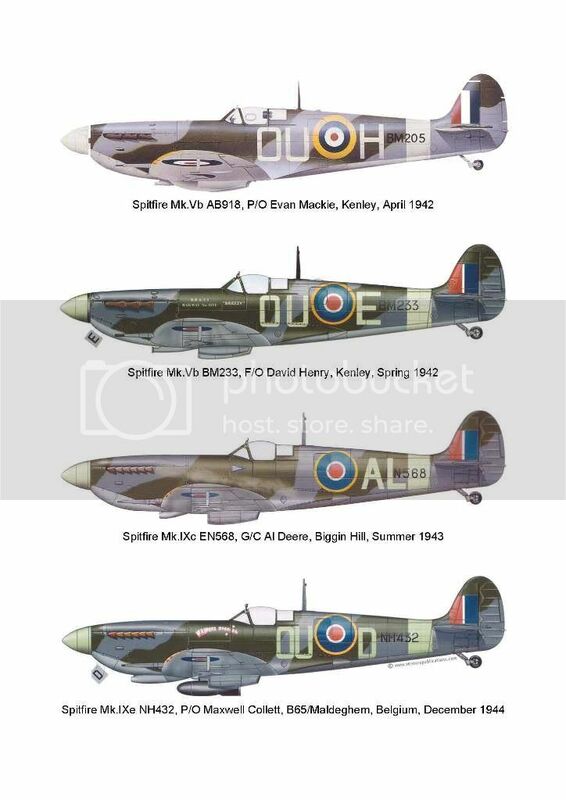 1/48 Spitfire Vb decals... 485 Squadron? 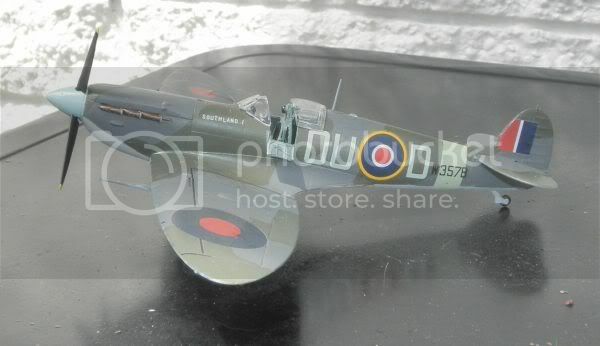 I'm building a model for my father for Xmas (nothing like leaving it to the last minute...) of a 1/48 Spitfire Vb. I'm using the Tamiya kit, mostly because I've had no problems with Tamiya before, and from the reviews I've read around the place it's as good as any and better than most as far as accuracy goes. Anyway, Dad wants the markings done in a "New Zealand Sqn", since I did a Mosquito for him a couple of years ago that happened to come with 487 Sqn markings (EG-T for anyone who is interested, another Tamiya Kit). 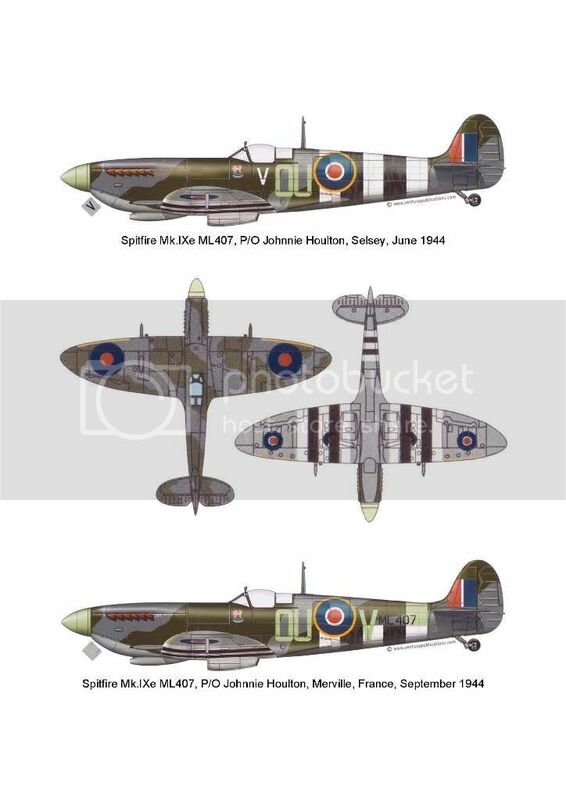 There is a company out there that makes 485(NZ) Sqn markings but they are for the Spitfire XVIe - are these remarkably different from Vb markings? I suspect the roundels are different - the Vb markings I've seen have a large yellow outside, where the decals I've found have slim yellow around the outside. 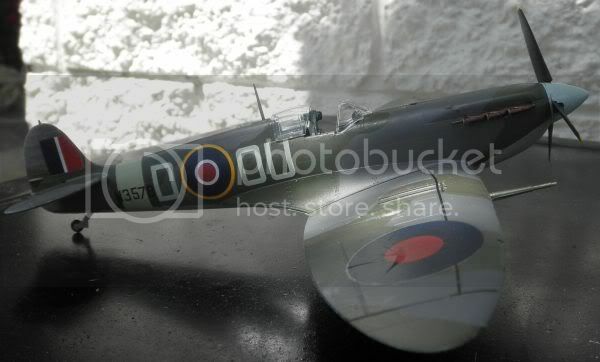 Are there, anywhere out there, markings for a 485 Sqn Spitfire V? Or I am dreaming the impossible dream? The Tamiya kit is excellent and it should come with the exact roundels and flashes that you need. I built Johnnie Houlton's Mk Vb from the kit many years back when it came out in the 1990's, and all I needed to buy extra was a set of codes (which came as a sheet of alphabets which i just selevted the OU-V markings from.) I cannot recall who made that set but I think i ordered it from overseas. The people who still make models here will know more on that. Also his aircraft had a pink elephant as nose art (as did his Mk IX though ML407 no longer carries that noseart. So I made the artwork myself by hand painting it onto clear decal. And I could make up the required serial numbers from my spares box. Many of the No. 485 (NZ) Squadron aircraft carried county names from the regions in NZ who raised the money to purchase those fighters. For those markings if you may need a seperate sheet of lettering I guess. One day I hope to build Bill Wells' personal aircraft WAIKATO since he was from here in Cambridge... if I ever get back into modelling. Welcome to the forum by the way. 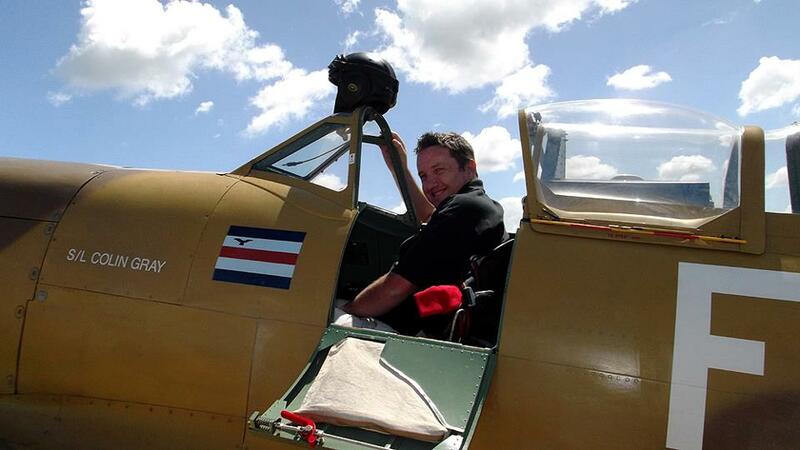 I hope you can post some phoytos of the Spitfire and the Mossie. I sort of figured the roundels in the kit would do, but wasn't sure if they were exactly right (not that it matters that much) for 485 Sqn. I'll have to grab some letters myself, since the vast majority of my modelling is in 1/72 or smaller so I don't have the correct size spares. The Mosquito is down in Invercargill I didn't take any pictures of it while I was building it. It's a reasonable job, but I wasn't very happy with the big flat decals on the wings as they have large clear areas which show up quite markedly on the matte paint I'll take a couple of pics and post 'em up next time I'm down there (I'm living in Dunedin). 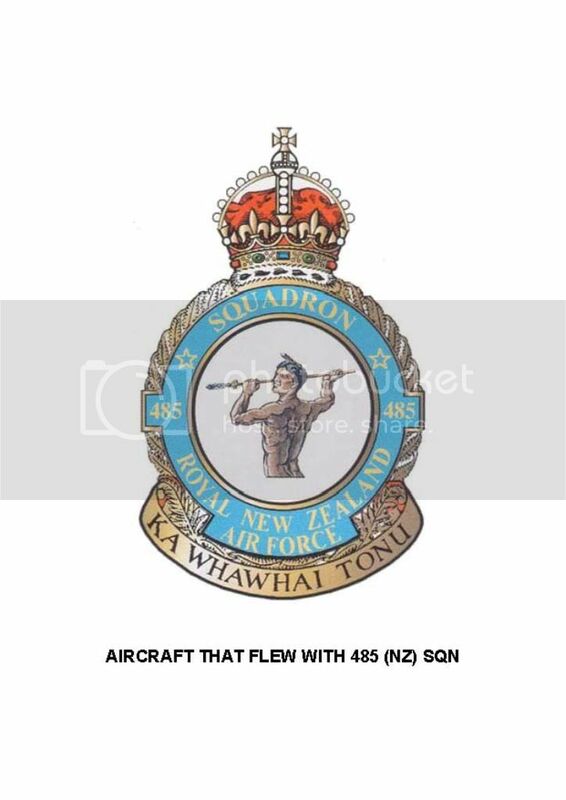 Would be good to find out the squadron code (e.g OU-D or whatever) for "Southland" - the wikipedia for 485 Sqn by chance happens to mention that W3579 is Southland II but doesn't say which member of the Sqn that is. Anyone know how to find this out? 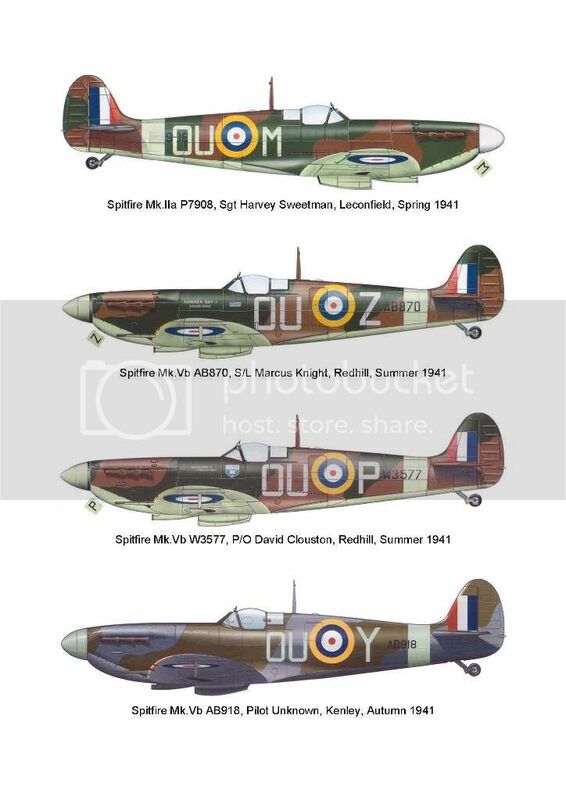 I believe all the provence named aircraft and their serials and personal pilots are listed in Gerard S. Morris's excellent book Spitfire: The New Zealand Story. I dont have a copy but someone here must have it. Which the Dunedin Public Library has a copy of Score! Hi Matt, have a squizzey at this www.britmodeller.com/forums/index.php?showtopic=53252&hl= I think this is pretty much what you want to do although I think this one is 1/24. 487 squadron is a Kiwi & may even post on here. failing that, it would be worth you registering on britmodeller & PMing him for details of codes etc. You might also be able to track him thru this rnzaf.proboards.com/index.cgi?action=display&board=Modelling&thread=11000&page=1#101733 & save the registering on BM although he seems to be more active over there. Good luck with the build. Bear in mind with 485 Vs that depending on the period the squadron codes can be either the unusual "rounded" codes as in the build that Steve linked above or the more common "squared off" codes. If you have a particular aircraft that you wish to portray I might be able to help you with information as I have a number of books on 485. About halfway through the build (still got plenty of time, right? ) and I've struck a problem. For the little fiddly detail painting bits I've been using Tamiya colours since that's what the kit instructions use but to be frank they've been extremely disappointing and I'm wondering if they've gone "off" - but I digress. I plan on using my Humbrols to paint the main body, but the colours are somewhat hard to duplicate based on the instructions. I'm wondering if the gurus on here can provide a solution for me? AS-9 would be RAF Dark Green, either Hu116 or Hu163 semigloss, sometimes Hu30 but often thought of as too "green". 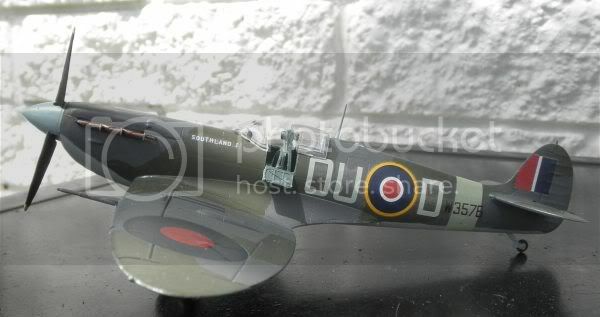 AS-10 would be RAF Ocean Grey, would be 106 & AS-11 would be RAF Medium Sea Grey, Airfix offers Humbrol 64 in their kit instructions, there is also Humbrol 165 in a semigloss but I think this is too dark. 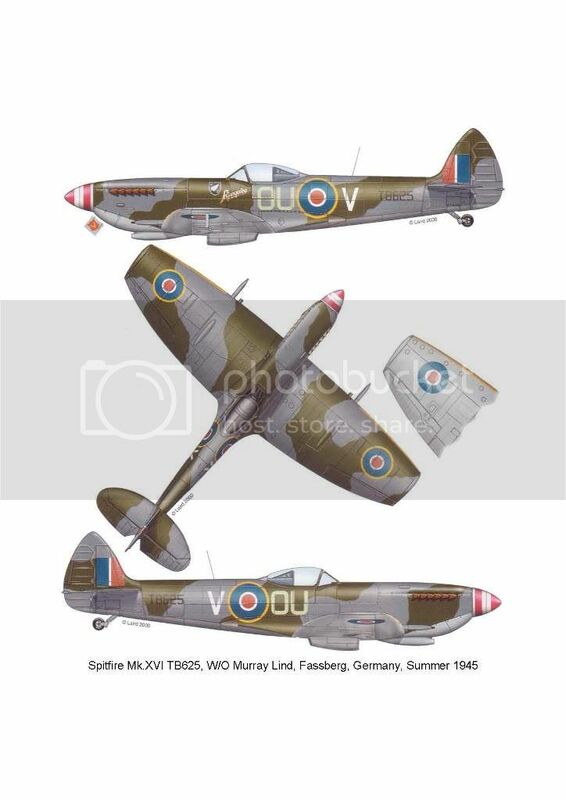 Question on squadron markings: in the kit the squadron/aircraft ids are presented two ways - in one the markings are as I've always thought they were with the Squadron code (OU) near the cockpit and the aircraft code (D) nearer the tail, such that on one side it reads D-OU and on the other OU-D, where "-" is the roundel. 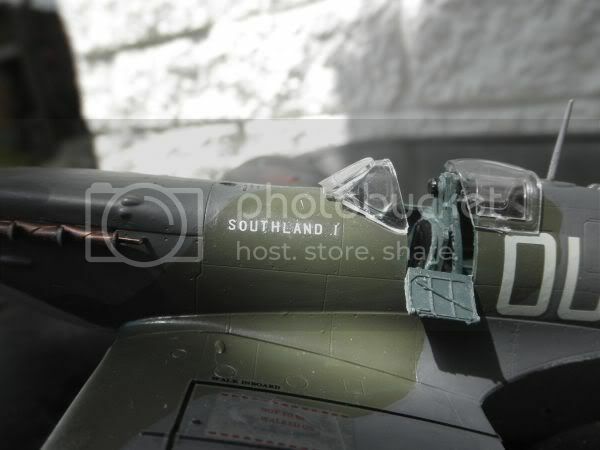 However the kit has one set of decals (which I'm not using) which has it reading "OU-D" on BOTH sides, meaning on the starboard side the OU is nearer the tail - is this correct for RNZAF 485 Sqn aircraft? I've never run across it before so you never know, but thought I should check. I am sure your dad wont mind Matt. I am sure he knows its in process and that will be good enough... Doing these things well takes time therefore you must be doing it well! He will love it as a New Year Present! Yeah I'm staying at their place for a few days and finishing it off here - except stupid me didn't bother writing down the serial no for OU-D Library opens on Wednesday and they have a copy of the Spitfire book so will get it from there (google-fu has failed me). That looks great Matt, well done. Thats a really nice job there Matt, well done. It looks very smart & I think D-OU looks just right. 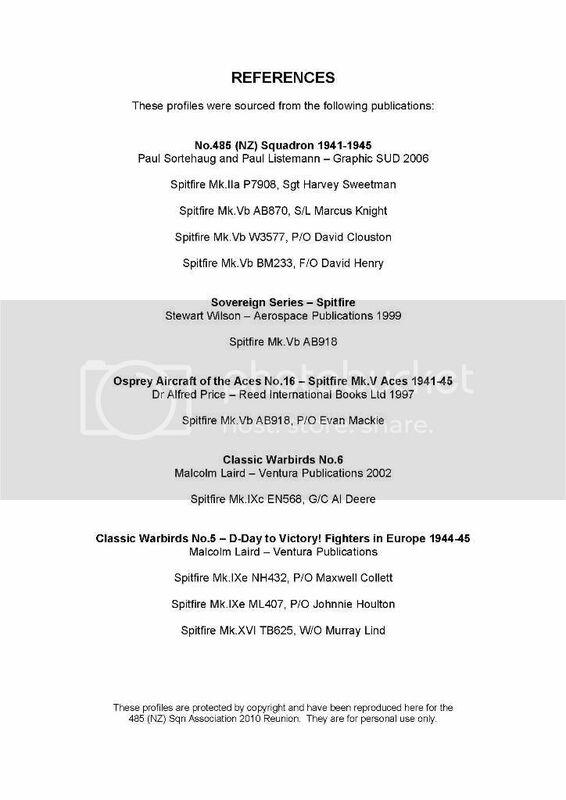 Thought this may be of interest to any historians or modelers out there who are considering any of the 485 Sqn Spitfires. It's a compilation that was produced for the last 485 Sqn reunion held back in Feb 2010.